They may have some nutty theories pertaining to the game's outcome, but they aren't afraid to look the fool if it means victory for their team. Wholeheartedly believing that wearing their favorite jersey, wacky team socks, or sitting in their 'lucky chair' while watching the game will guarantee a win for their team, or at least another touch down. Their game day superstitions may drive everyone nuts, but if it seems to be working, why not go along with their nutty schemes? At the very least, serve up a bowl of nuttiness in their honor. 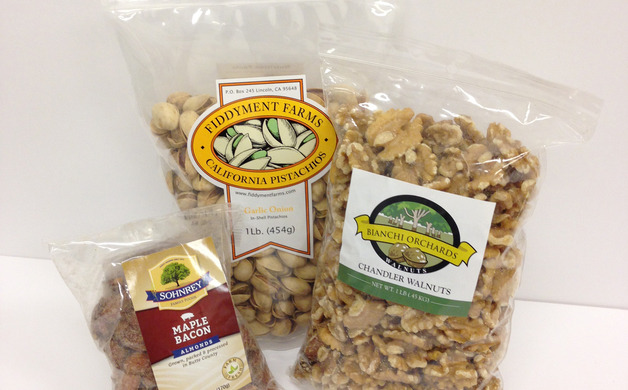 Try an assortment of these locally grown walnuts, almonds, and pistachios. A combination of Sohnery Family Foods' Maple Bacon Almonds, Fiddyment Farms' Garlic Onion Pistachios, paired with Bianchi Orchards' Chandler Walnuts, can make the perfect blend of 'sweet and salty' for the nuttiest of fans. Their team might not have made it to the Super Bowl, but they still have a heart for the game. Full of compassion and a hint of competitive drive, these are the fans tearing up at every heartfelt commercial while passionately rooting for the underdogs. 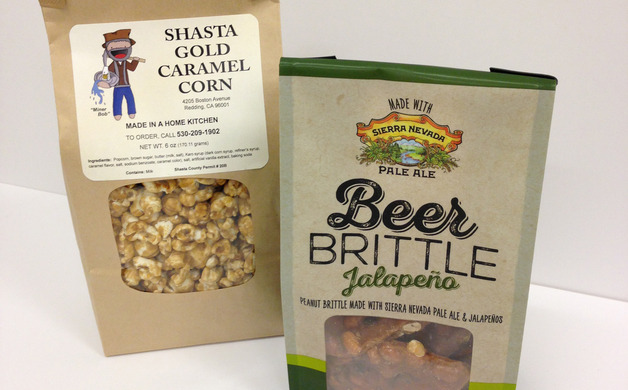 For their hearts of gold, pass around a bag of Shasta Gold Caramel Corn, or for a more subtly sweet snack with a kick, put out some Jalapeno Beer Brittle (peanut brittle handcrafted by Joy Lyn's Candies with Sierra Nevada's Pale Ale). They're wild about their team and they aren't afraid to show it--sporting their team's jersey, along with an array of fan gear they've collected throughout the years--these fans don't mess around. Placing bets, wildly cheering and jumping for every field goal, tackle, and touch down their team makes, and growing ever more confident their team will come out the victor, these 'wildlings' are as crazy for their team as they are for their snacks. Get a little wild and pair a bowl of all natural Wild Rice and Bean Multigrain Chips with Lucero's Roasted Tomato Tapenade spread for an exciting snack for those die hard fans. *Some products mentioned above are available at Enjoy the Store (1475 Placer Street, Redding, CA).